Have the new GST regulations scuppered your plans to pick up that car you have been dreaming of for months? 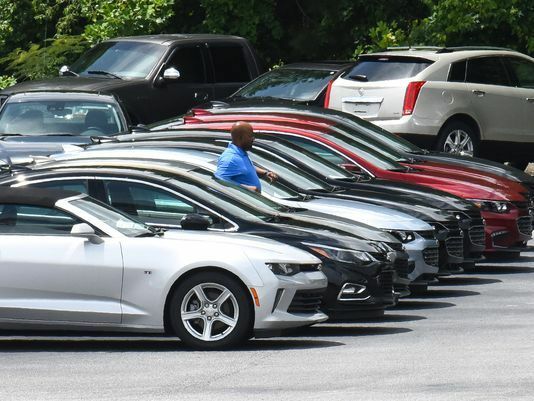 The new tax regulations have raised the overall car price of that model you wanted, and now the already stretched budget is gone past the breaking point. Fortunately, there is a way to cover up the new hikes and also further reduce the weight of EMIs. Shared ownership is helping many achieve the once-difficult balance of car ownership and EMI payment. Zoomcar’s ZAP initiative allows you to list your new car on the Zoomcar platform and earn money from it. This concept is based on the simplest of premises – you are still paying for your car even when you do not use it, hence, share it with a reliable partner and get paid to mitigate costs. Zoomcar also provides other major assurances under the ZAP agreement which means you have no liabilities when your car is being listed. So buy new car now! Zoomcar enjoys a great relationship with top car manufacturers like Ford, Tata, Mahindra, Hyundai, Maruti and more. Get discounts when you buy your dream car under the ZAP program. You will also have access to a large network of financiers who will give you very fair loan rates. With such a head start, you are already cancelling out the extra GST costs. Once you list your car on the Zoomcar platform, you can potentially earn up to Rs 20,000 a month. With this extra income, you do not need to compromise your lifestyle to take care of those hefty EMIs. The listing of your car on Zoomcar is facilitated on a smart and simple app. A transparent billing process means you get complete insights into what you are being paid for. You can track your car at any time via GPS. Once you have bought your car, you need to register it as a commercial vehicle for compliance reasons. By registering it under Zoomcar, you are covered from any liability during the listing of the car. Cadabra car monitoring software needs to be installed. The Cadabra alerts help you stay on top of the maintenance costs with preventive measures, therefore helping you save money. Prudent car buyers are choosing the ZAP route to own their dream car. Enjoy the unmatched privileges and freedom of owning your own car while also helping budget the payments with this win-win partnership. Learn more about ZAP.